Axel Ingemansson (I wrote a bit about him here) was the son of the stonemason Anders Petter (1839 - 1899) and Christina Charlotta (1849 - 1893). He was born 1876. 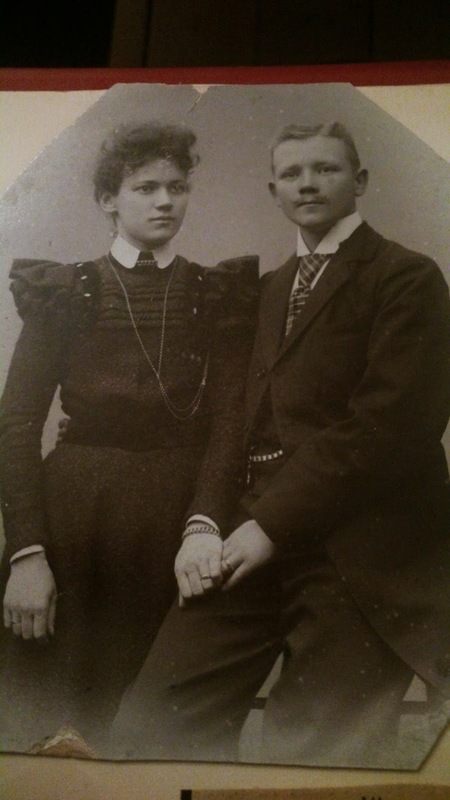 He married Anna Nilsson 1897 who was two years older than him. She was from Malmö as well and was daughter to the master painter Jöns Nilsson ( 1845 - 1923) and Elna Nilsson ( 1846 - 1922). 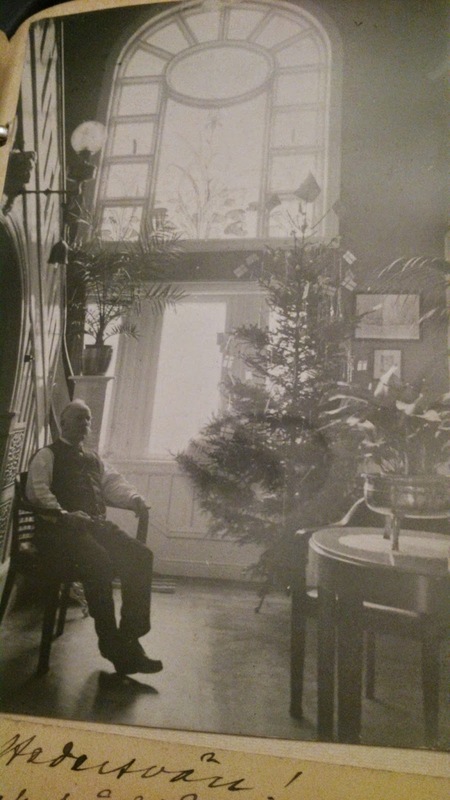 Axel started worked as bank treasurer and in 1906 he decided to move from Lund to Åkarp after purchasing a piece of land and building an house. 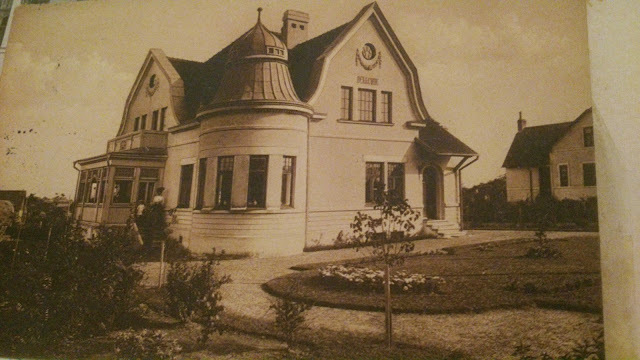 The house is Villa Bellevue. 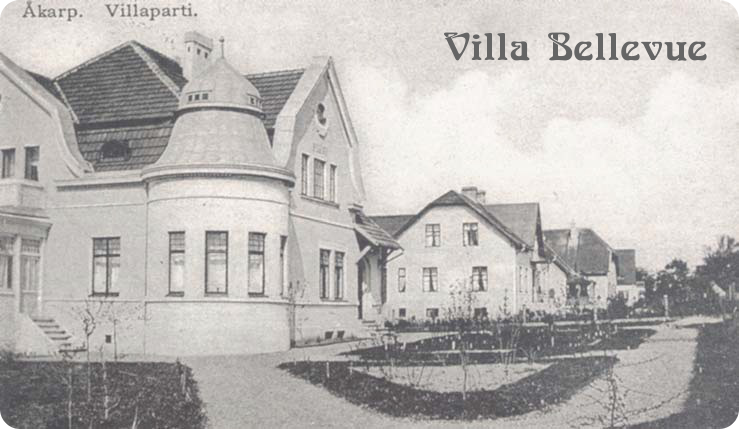 The area that belongs to Villa Bellevue was hiven off Möllegården's land. 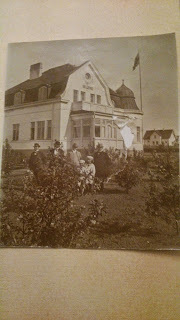 Möllegården is one of Åkarp farm (Åkarp #6) and was at the time owned by Pehr Pehrsson, who was a parliamentarian and very active in Åkarps community in many different ways. 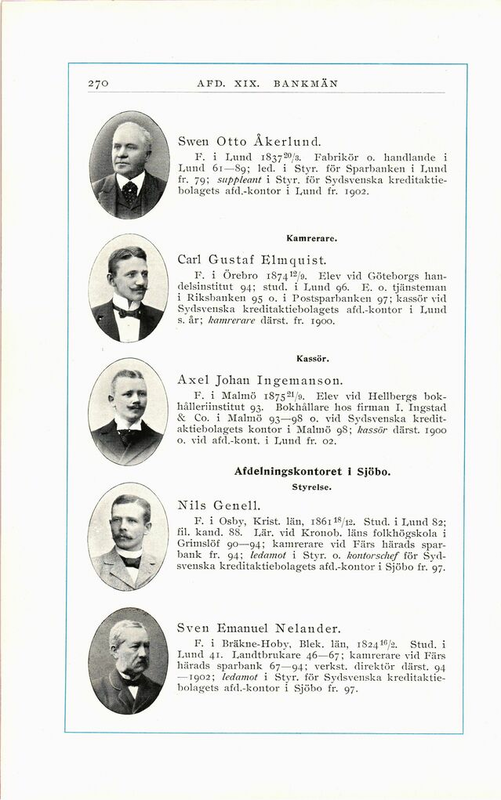 He and Axel, together with others, will start up 1914 Åkarp Municipalsamhälle, the municipality of Åkarp. They moved into Bellevue 29/07/1911, together wtih Axel's brother, the fourtheen years old Anders, and one piga (maid), Hilda Persson. 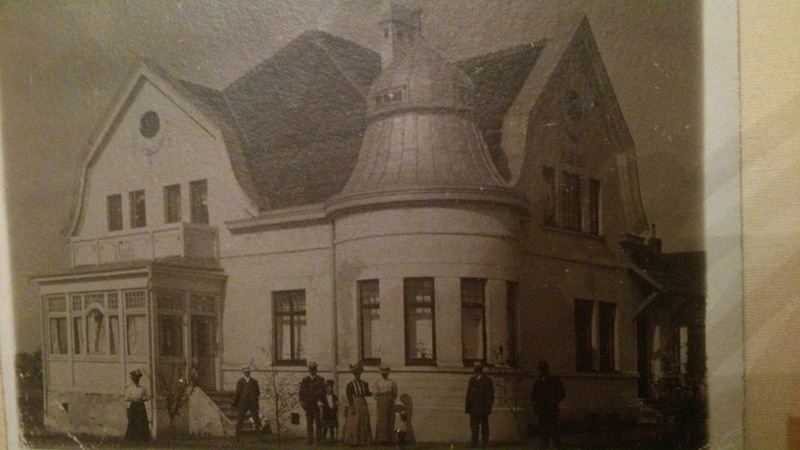 During the construction phase, the ryktare Per Johansson was living here. He was poor and he was moving from house to house in Åkarp doing all sort of jobs. Possibly, he had the opportunity to leave here and monitor the building phase? 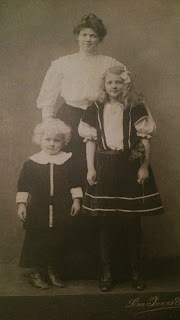 They were having also two children, Greta, who was eight at the time and Hans, who was just two. 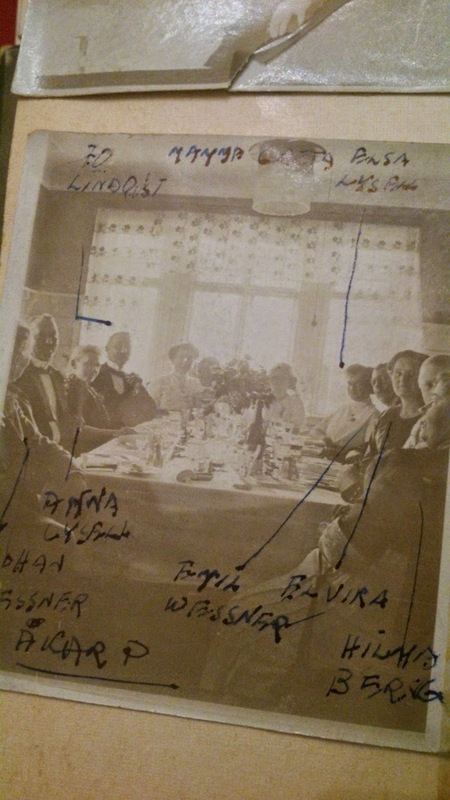 After searching a little, I contacted one of Hans' grandaughters (Helene Ingemanson) who kindly put me in contact with Greta's son, Bertil and Hans' daughter, Eva. We had finally the pleasure of meeting them about one month ago. They brought with them a big photo album: what a fantastic dream! For days I just did go through most of the pictures without stopping looking at them. 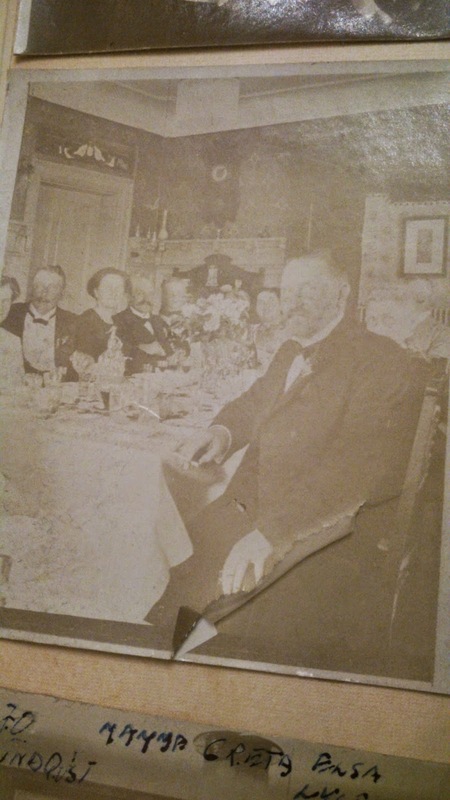 The picture from this post comes mostly from the photo album. There are a lot of details in all the pictures, not only the ones related to our house, that are interesting and there are few pictures displaying some other villa in Åkarp. Life in Åkarp must have been quite special. There were just a big bunch of new houses newy built and it became natural to become friends with the neighbours. There were no cars yet and it was possibly not very convenient anymore to live in Åkarp when Axel became Lund Handelsbanken bank director and therefore he moved back to Lund, for then living just directly above the bank building. 1914 it is the year of the Baltic Exhibition, but also the year of the First World War. 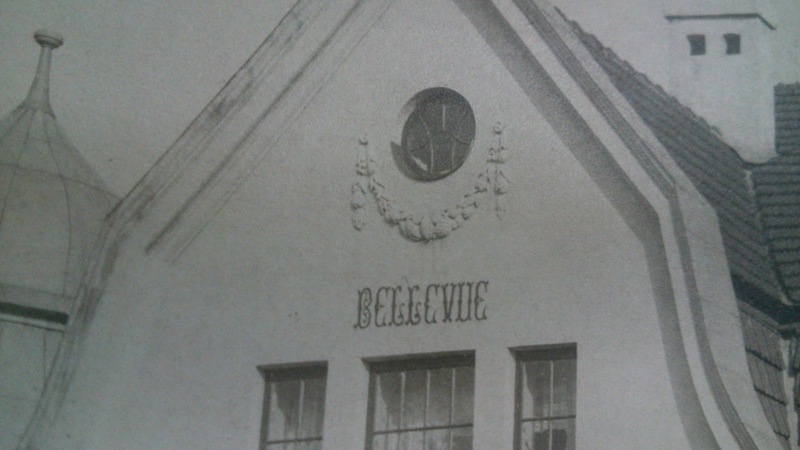 It is then that they sell Bellevue to the Nilsson family. 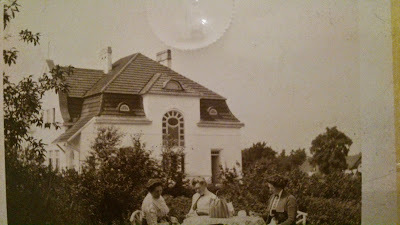 In Villa Bellevue there was surely a lot to do and the house chores were mostly handled by maids. The interesting fact is that the Ingemansson changed maid as frequent as possible (possibly everone was having maids for very short periods?). 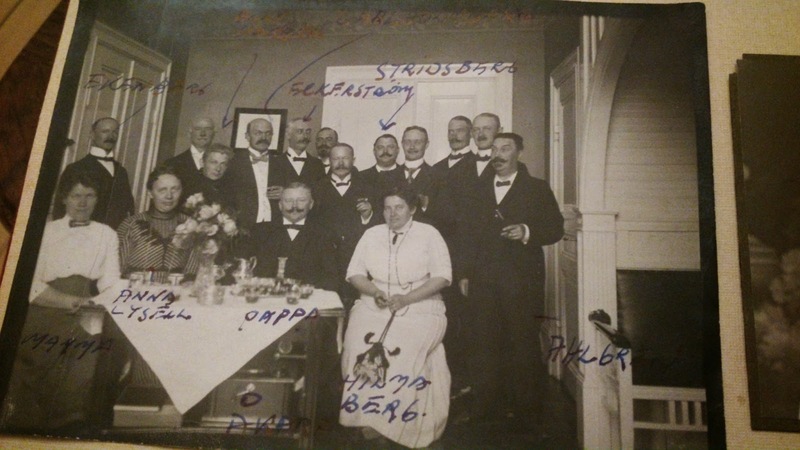 After Hilda Persson came Ida Elisabet Olssen, Ida left Bellevue 13/11/1909 overlapping with Ida Nilsson for about 7 months. 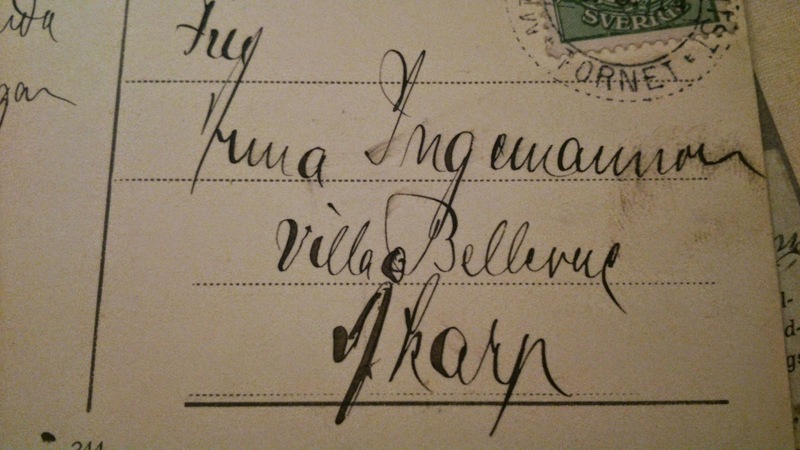 1910 also this Ida was substituted by Emma Elizabeth Kornelia Persson and again, after one year came Alma Svensson. It seems they finally found somebody reliable in Emma Kristina Haj who worked for them from the 14/11/1912 for at least a couple of years. The maids were most likely having a room on their own, just above the kitchen (in theory, in the worse side of the house, but back then it was surely very warm since the kitchen oven must have been active during most part of the day) and they could access the room directly from the kitchen serving entrance, a little corridor which is today part of the kitchen. Bellevue, 1909, the whole family is in front of the house. 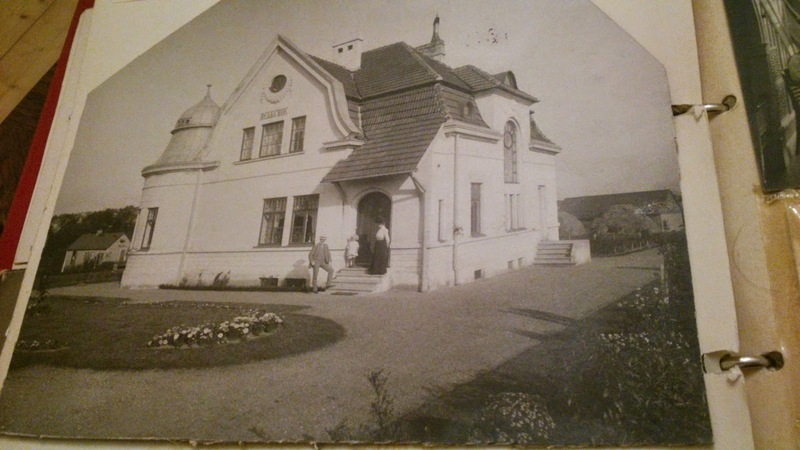 I am so grateful to have the opportunity to stare at the pictures of the house when it was built. We can see and understand how it looked originally. Here it is very well visible how the two chimneys were looking like.. 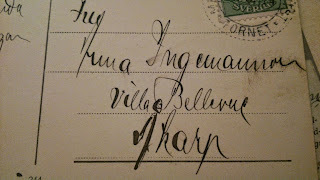 The front chimney had a crown - which we have seen also in other postcards. 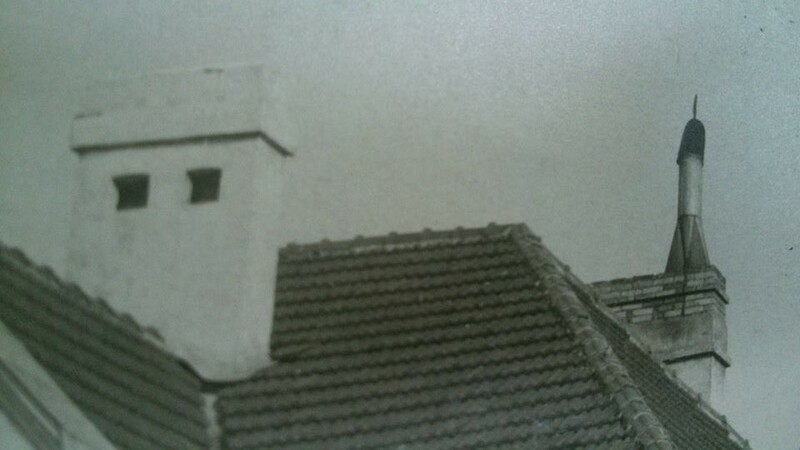 The back chimney instead didn't have any metal sheet (which instead we thought was there based on some other picture). Only in this picture it is visible a "dansare" (dancer). 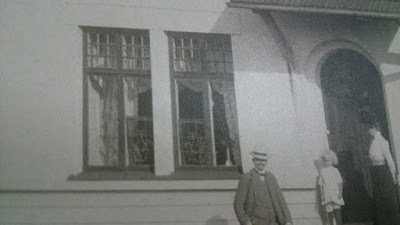 Here we can see the original windows (some of which we luckily have still up in the attic). The color of the frame is dark and we know that it was red. One can see that they had some form of decorations on the windows and a lot of curtains. 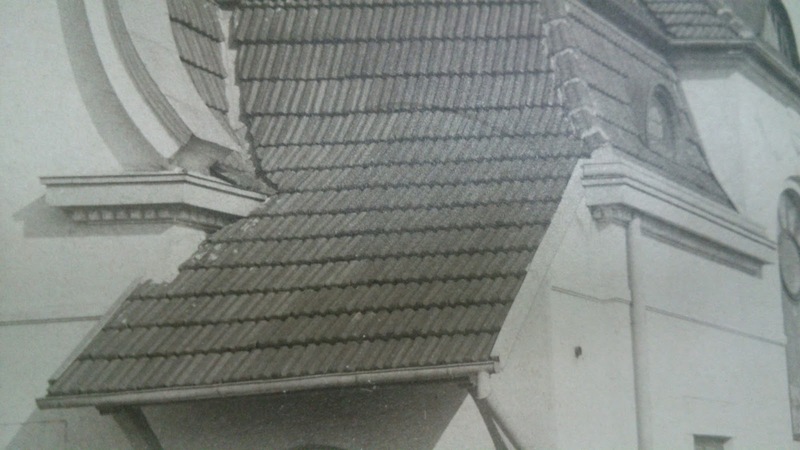 One can look very carefully at the roof and notice that: the cornice metal sheet was definitely lighter in color than the half-moon dormer windows one. The downpipes were having a sharp angle - and they had them until 1976 for sure. It is a pity that now we don't have them any longer. One can also see the tiles. Most likely they were normal clay tiles, double waved and folded. The house name. Now we have the right font :) It's interesting to see that the the name was visible just on the southern facade and not also on the western one, as it appears to be in later pictures (around the 20s). Of course, among the different events that they hosted in their house there were dinners with neighbours and friends from Lund, as well as also garden activities and games. 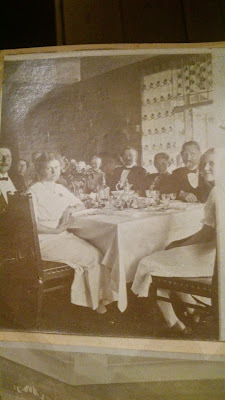 Among the people in Åkarp they connected to one can see in the pictures Anna and Elsa Lysell, who owned Maryhill (Backebo, today, Kullavägen 10) and one family, the Fredins, that first rented an apartment in Maryhill but then moved to Solvik 3 a little bit more central in Åkarp. After the Ingemanssons moved back to Lund, they were still meeting the Fredins in several occasions, especially since one of the kids was having the same age as Hans. The guests have arrived. They were welcoming then in the stairwell room. The niche under the stairs has still the little benches, but instead of velvet it is clear that the seats are in leather. Among the guests one can see the Lysells. Our dinner room was their dinner room. However, beautiful wooden panels were covering the walls and a set of windows was diving the room from the veranda. Same dinner, different point of view. The sliding door was in a darker color and I can get a glimpse of the "tower room" walls. Over the door there is a beautiful jugend textile. From this pictures I can see that the ceiling gips decorations are still the same. It is fantastic that at least those have been spared! It has been amazing to have the possibility to view some interior pictures. They must have not been very common back then. Possibly Jöns Nilsson sitting in the stairwell room. They were maybe spending Christmas together? A beautiful lamp sticks out from the niche under the stairs and one can obsserve that there is not a radiator under the big windows. The lower windows are not colored, but normal ones. 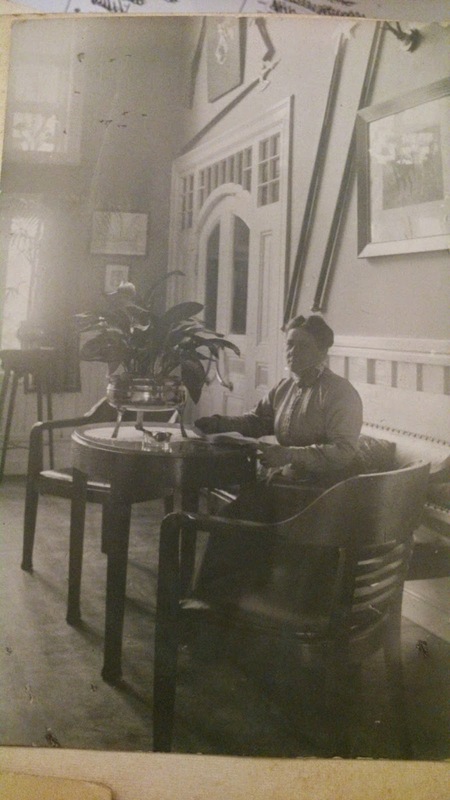 Possibly Anna's mother, Elna, sitting in the stairwell room as well. I believe that the floor was a parquet and in this picture one can be amazed by the door. That door is still in the attic and I am pretty sure one day or another it will be back there where it belongs! The house must have been going to some minor and medium refreshing before the Ingemanssons left. First, that chimney dancer had a very short life on our roof! But also the red color on the windows disappear just after 6 years. Will we repaint as well everything in white after we will paint everything in red? Bellevue, possibly 1909 - 1910. A decoration is visible on the balcony. There is not the name written above it. The veranda looks exactly as it does today, just with a bit less ground in front of it. Meeting Fredin's wife in Maryhills' garden. There are trees. but not the forest there is today! 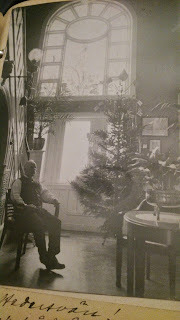 Picture must have been taken 1912, after painting the windows white. For a garden archeologist these pictures must been very helpful in order to visualize how the garden looked like. I must say that the front flowerbed is very beautiful and I am also fond of the fact that there is not an overgrown forest around the house. Still 1909. There are no big trees yet. One can see how Maryhill looked like then. Visiting. It is unclear which is the house in the background. The west facade now displays the name as well. The back garden was planted with tons of trees. Apple trees? For what concerns Bellevue, there is not so much more info or picture. But I do believe this is already a treasure considering that some pictures are 100 years old and that some question marks have been finally resolved. Väldigt intressant hus med en spännande historia! Roligt att se att det finns fler människor än jag själv som brinner för jugend- och art decoinredning samt byggnadsvård. Jag måste ta mig en tur förbi nästa gång jag är i Åkarp!